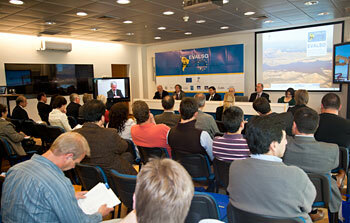 30 December 2010: The Federative Republic of Brazil has yesterday signed the formal accession agreement paving the way for it to become a Member State of the European Southern Observatory (ESO). 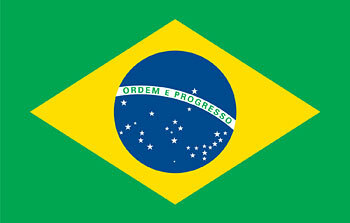 Following government ratification Brazil will become the fifteenth Member State and the first from outside Europe. 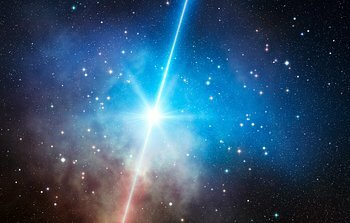 16 December 2010: Gamma-ray bursts are among the most energetic events in the Universe, but some appear curiously faint in visible light. The biggest study to date of these so-called dark gamma-ray bursts, using the GROND instrument on the 2.2-metre MPG/ESO telescope at La Silla in Chile, has found that these gigantic explosions don’t require exotic explanations. Their faintness is now fully explained by a combination of causes, the most important of which is the presence of dust between the Earth and the explosion. 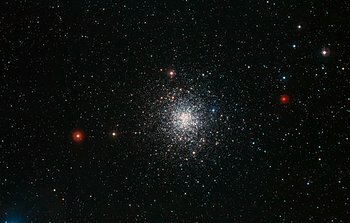 8 December 2010: We know of about 150 of the rich collections of old stars called globular clusters that orbit our galaxy, the Milky Way. This sharp new image of Messier 107, captured by the Wide Field Imager on the 2.2-metre telescope at ESO’s La Silla Observatory in Chile, displays the structure of one such globular cluster in exquisite detail. Studying these stellar swarms has revealed much about the history of our galaxy and how stars evolve. 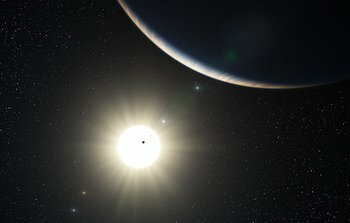 1 December 2010: The atmosphere around a super-Earth exoplanet has been analysed for the first time by an international team of astronomers using ESO’s Very Large Telescope. 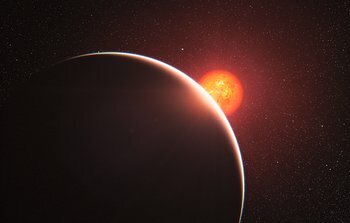 The planet, which is known as GJ 1214b, was studied as it passed in front of its parent star and some of the starlight passed through the planet’s atmosphere. We now know that the atmosphere is either mostly water in the form of steam or is dominated by thick clouds or hazes. The results will appear in the 2 December 2010 issue of the journal Nature. 18 November 2010: An exoplanet orbiting a star that entered our Milky Way from another galaxy has been detected by a European team of astronomers using the MPG/ESO 2.2-metre telescope at ESO’s La Silla Observatory in Chile. 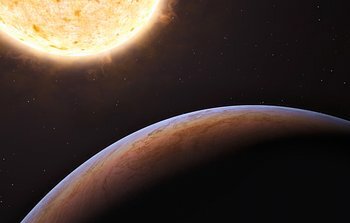 The Jupiter-like planet is particularly unusual, as it is orbiting a star nearing the end of its life and could be about to be engulfed by it, giving tantalising clues about the fate of our own planetary system in the distant future. 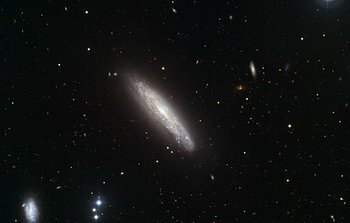 10 November 2010: European Southern Observatory astronomers have produced a spectacular new image of the famous Atoms-for-Peace galaxy (NGC 7252). 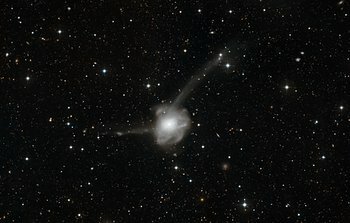 This galactic pile-up, formed by the collision of two galaxies, provides an excellent opportunity for astronomers to study how mergers affect the evolution of the Universe. 4 November 2010: Stretching 100 kilometres through Chile’s harsh Atacama Desert, a newly inaugurated data cable is creating new opportunities at ESO’s Paranal Observatory and the Observatorio Cerro Armazones. Connecting these facilities to the main Latin American scientific data backbone completes the last gap in the high-speed link between the observatories and Europe. 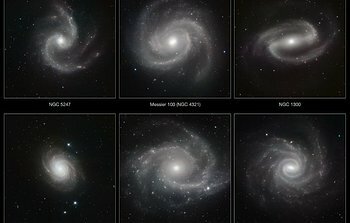 27 October 2010: Six spectacular spiral galaxies are seen in a clear new light in images from ESO’s Very Large Telescope (VLT) at the Paranal Observatory in Chile. The pictures were taken in infrared light, using the impressive power of the HAWK-I camera, and will help astronomers understand how the remarkable spiral patterns in galaxies form and evolve. 20 October 2010: A European team of astronomers using ESO’s Very Large Telescope (VLT) has measured the distance to the most remote galaxy so far. By carefully analysing the very faint glow of the galaxy they have found that they are seeing it when the Universe was only about 600 million years old (a redshift of 8.6). These are the first confirmed observations of a galaxy whose light is clearing the opaque hydrogen fog that filled the cosmos at this early time. The results were presented at an online press conference with the scientists on 19 October 2010, and will appear in the 21 October issue of the journal Nature. 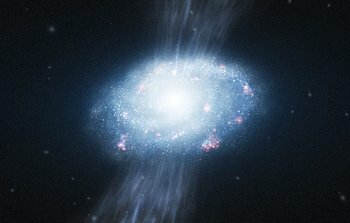 13 October 2010: New observations from ESO’s Very Large Telescope have, for the first time, provided direct evidence that young galaxies can grow by sucking in the cool gas around them and using it as fuel for the formation of many new stars. In the first few billion years after the Big Bang the mass of a typical galaxy increased dramatically and understanding why this happened is one of the hottest problems in modern astrophysics. The results appear in the 14 October issue of the journal Nature. 6 October 2010: A new infrared image from ESO’s VISTA survey telescope reveals an extraordinary landscape of glowing tendrils of gas, dark clouds and young stars within the constellation of Monoceros (the Unicorn). This star-forming region, known as Monoceros R2, is embedded within a huge dark cloud. The region is almost completely obscured by interstellar dust when viewed in visible light, but is spectacular in the infrared. 22 September 2010: A new image taken with the powerful HAWK-I camera on ESO’s Very Large Telescope at Paranal Observatory in Chile shows the beautiful barred spiral galaxy NGC 1365 in infrared light. 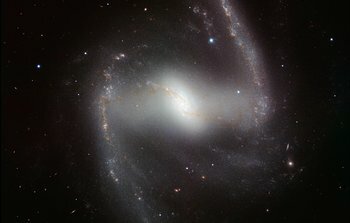 NGC 1365 is a member of the Fornax cluster of galaxies, and lies about 60 million light-years from Earth. 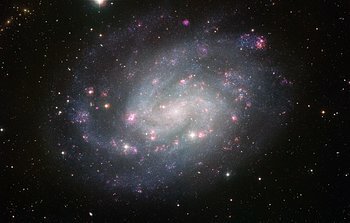 8 September 2010: ESO has released a spectacular new image of NGC 300, a spiral galaxy similar to the Milky Way, and located in the nearby Sculptor Group of galaxies. Taken with the Wide Field Imager (WFI) at ESO’s La Silla Observatory in Chile, this 50-hour exposure reveals the structure of the galaxy in exquisite detail. NGC 300 lies about six million light-years away and appears to be about two thirds the size of the full Moon on the sky. 1 September 2010: The galaxy NGC 4666 takes pride of place at the centre of this new image, made in visible light with the Wide Field Imager on the MPG/ESO 2.2-metre telescope at the La Silla Observatory in Chile. NGC 4666 is a remarkable galaxy with very vigorous star formation and an unusual “superwind” of out-flowing gas. It had previously been observed in X-rays by the ESA XMM-Newton space telescope, and the image presented here was taken to allow further study of other objects detected in the earlier X-ray observations. 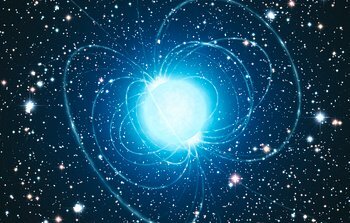 18 August 2010: Using ESO’s Very Large Telescope, European astronomers have for the first time demonstrated that a magnetar — an unusual type of neutron star — was formed from a star with at least 40 times as much mass as the Sun. The result presents great challenges to current theories of how stars evolve, as a star as massive as this was expected to become a black hole, not a magnetar. This now raises a fundamental question: just how massive does a star really have to be to become a black hole? 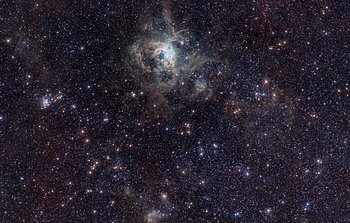 11 August 2010: Astronomers scanning the skies as part of ESO’s VISTA Magellanic Cloud survey have now obtained a spectacular picture of the Tarantula Nebula in our neighbouring galaxy, the Large Magellanic Cloud. 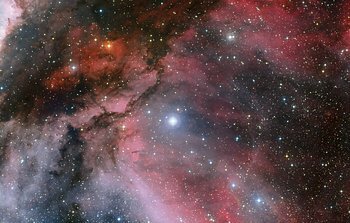 This panoramic near-infrared view captures the nebula itself in great detail as well as the rich surrounding area of sky. The image was obtained at the start of a very ambitious survey of our neighbouring galaxies, the Magellanic Clouds, and their environment. 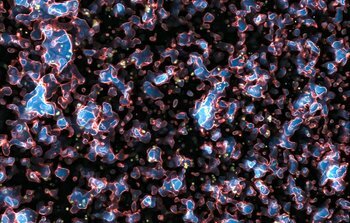 4 August 2010: Astronomers using ESO’s Very Large Telescope have for the first time obtained a three-dimensional view of the distribution of the innermost material expelled by a recently exploded star. The original blast was not only powerful, according to the new results. It was also more concentrated in one particular direction. 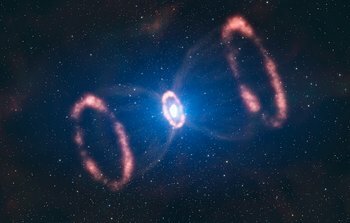 This is a strong indication that the supernova must have been very turbulent, supporting the most recent computer models. 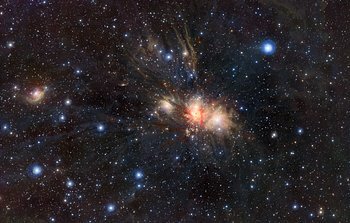 28 July 2010: A spectacular new image from ESO’s Wide Field Imager at the La Silla Observatory in Chile shows the brilliant and unusual star WR 22 and its colourful surroundings. 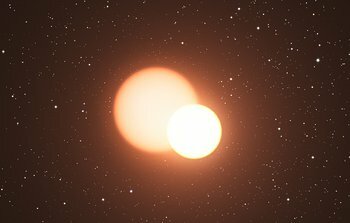 WR 22 is a very hot and bright star that is shedding its atmosphere into space at a rate many millions of times faster than the Sun. It lies in the outer part of the dramatic Carina Nebula from which it formed.